Meeting and event planners often choose to use our "Give Back" programs as ice breakers, transitional programming between speaker series, or even as part of happy hour. In 2016, a multinational financial services company planned its first give back during a regional meeting for vendors and suppliers. This gave vendors and suppliers a chance to interact and connect on a more personal level around issues they were passionate about.nThey have since integrated the program into several of their meetings in other regions. 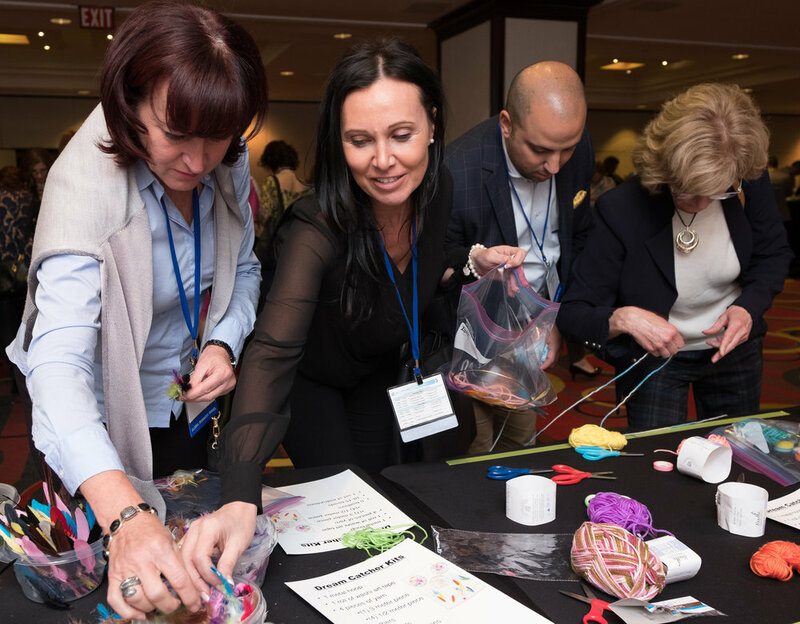 In one hour, participants cut and knotted 30 no-sew fleece blankets — one for every bed at Savards Women’s Shelter, which serves chronically homeless women with mental health issues. The group also created 350 art kits. 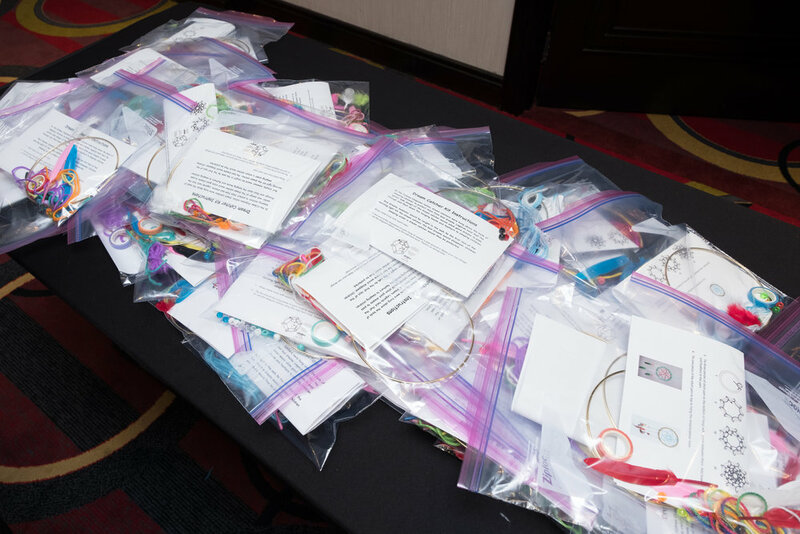 These kits were filled with supplies and instructions to make either dreamcatchers or lizard lanyards to help fill the Treasure Box at the Hospital for Sick Children. The Treasure Box holds toys that children choose from to make their time in treatment more bearable. The final non-profit the group worked with was the Covenant House Toronto, which assists homeless youth. Participants filled 175 reusable grocery bags with non-perishable food for former homeless and trafficked youth who still need assistance paying for food and other essentials.